We found an envelope, the other day, containing old currency, which appear to have been a collection belonging to my father. 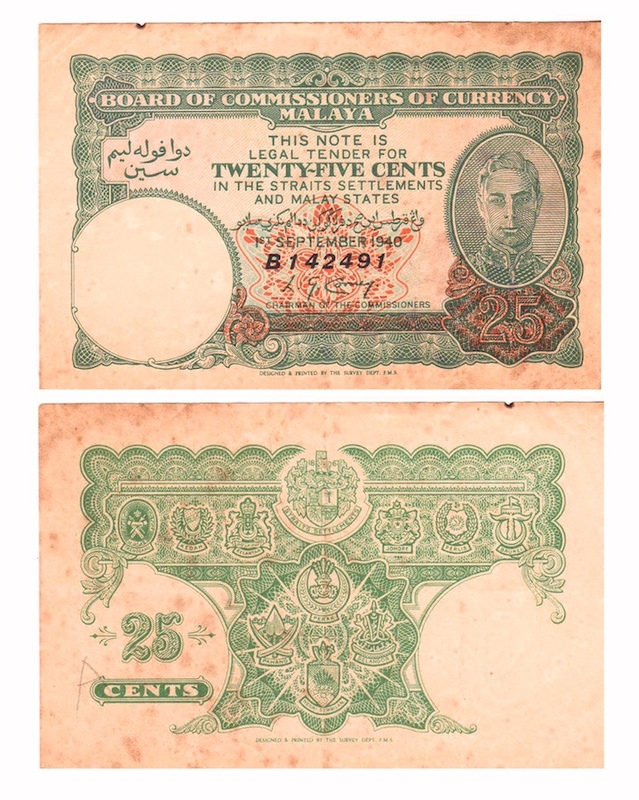 It is by no means a complete collection, and the old notes themselves are not in mint condition. Most are worn, and some have burn marks (he was a smoker, after all!). 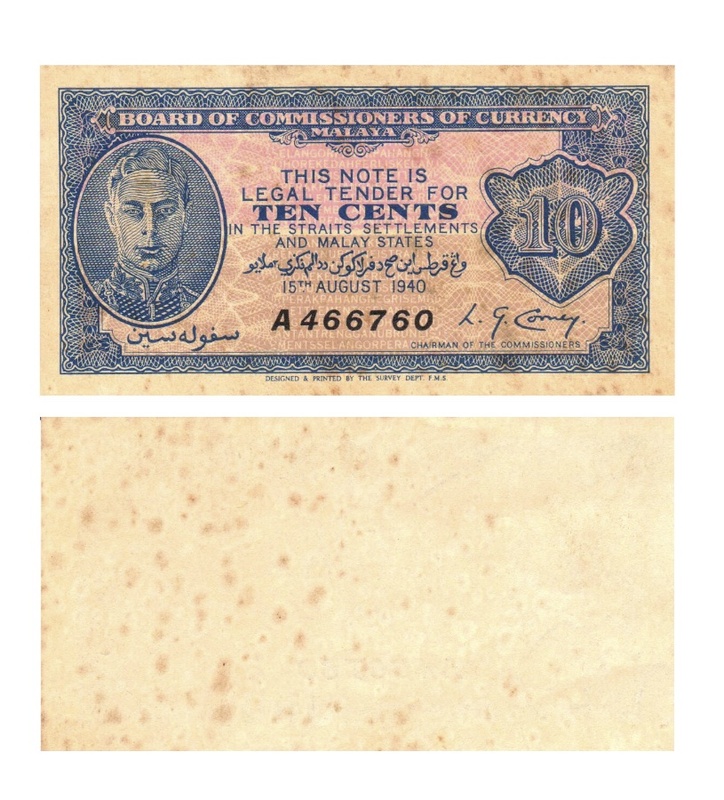 This 1935 note is the oldest in the collection. Portrait is that of George V, who died the following year. 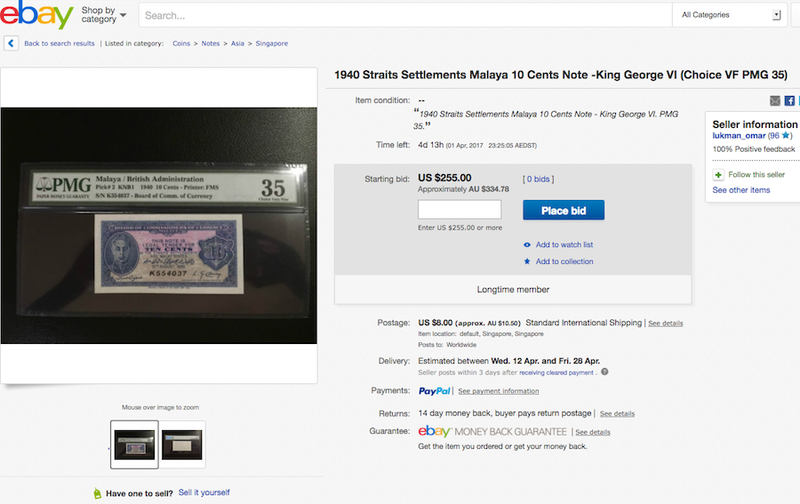 Curious as to its current value, I searched for it in eBay. 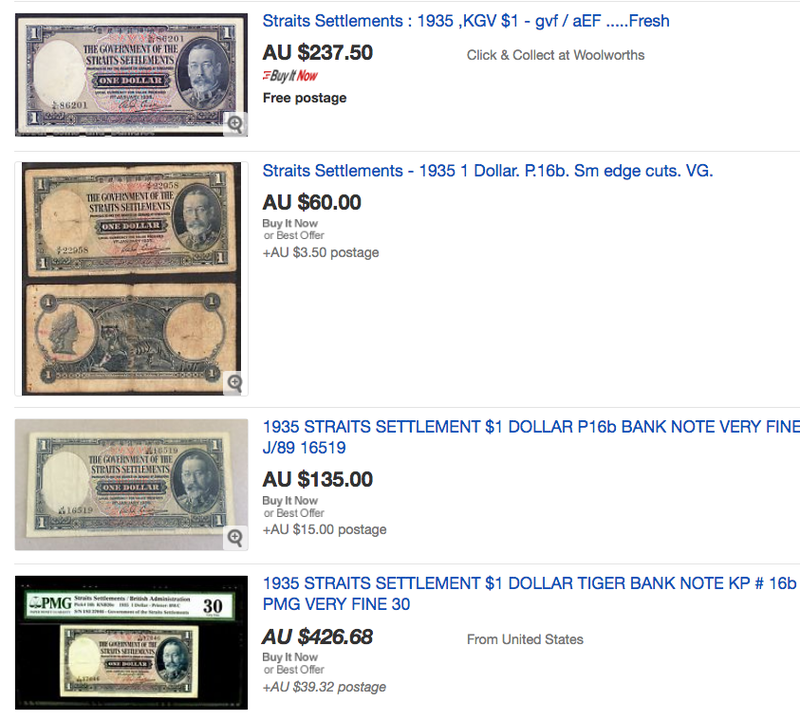 Quite a variation in value, depending on the quality, I would imagine. This 1940 issue is interesting in that the reverse side is blank. The portrait of King George VI on a bank note is somehow in my memory. That is probably because he ruled till his death in 1952 and currency with his portrait would have been around in my early childhood. 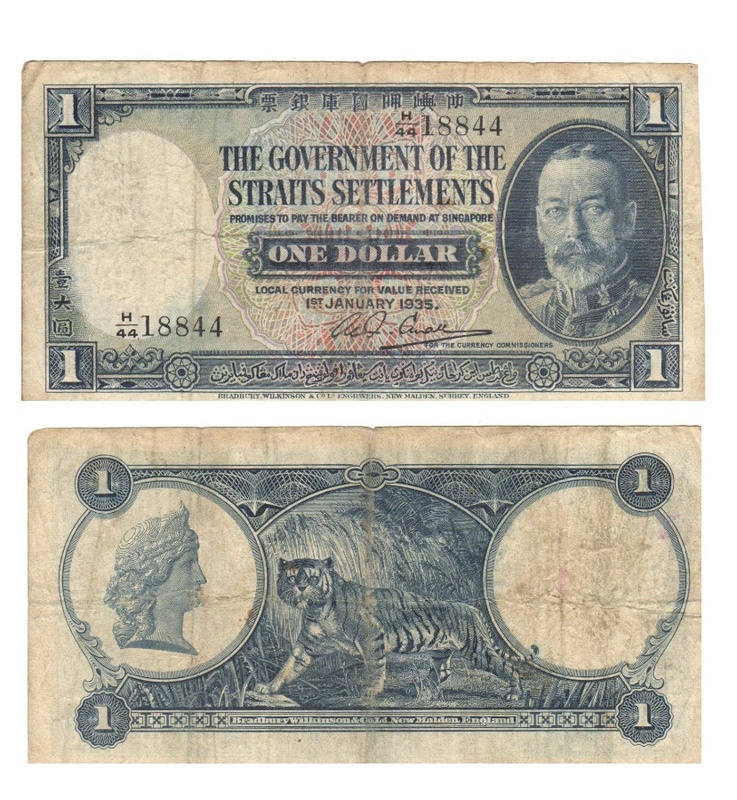 The previous regent (on the $1 above), King George V, I cannot remember ever seeing at all on currency or stamps. There are a few more (will post some time in the future) from the Japanese occupation and the early 60's. 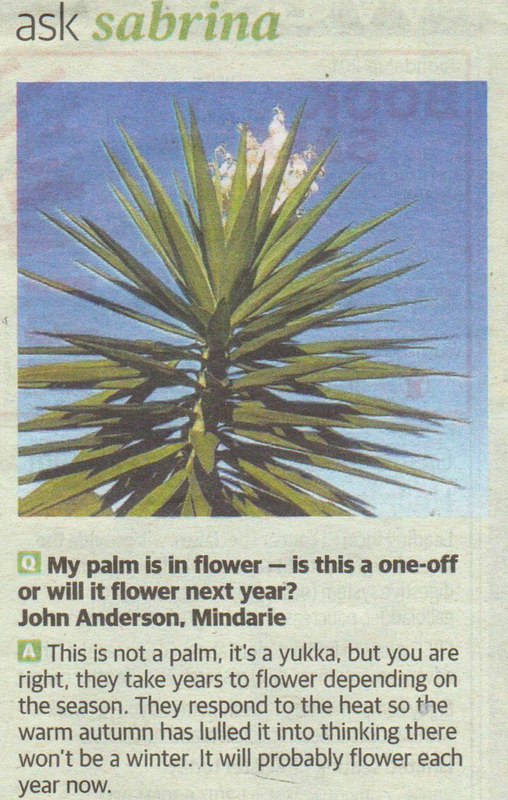 On another note (pun intended), here's a little newspaper article I found a week or two ago regarding the yucca. If correct, I can look forward to the yucca flowering next year. You made me rush off to look at my small collection. 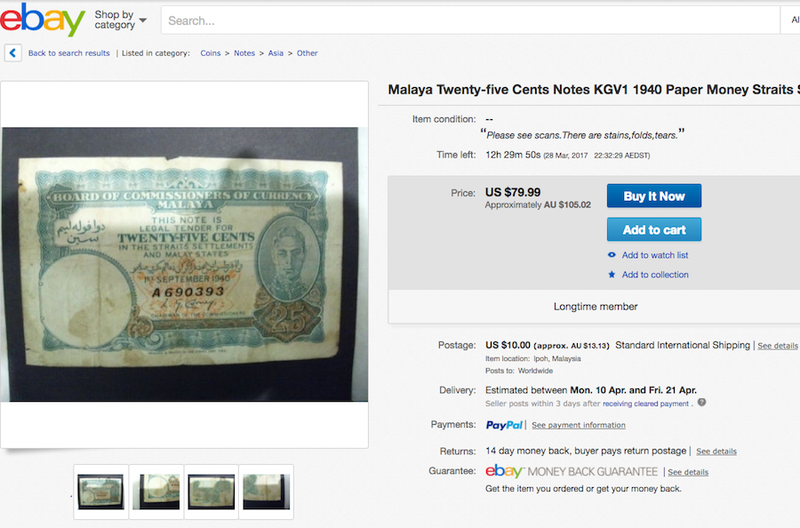 I have a King George VI $1 note and a Japanese 100 dollars (yes dollars, meaning it must be for occupied Malaya). Yes, I believe the Japanese dollars were called "banana money" as one of them featured banana palms on it. My missus has a bundle of the Japanese banana money. I wonder how much each of those would bring. Check it out on eBay, like I did. It's interesting and quite informative. Yes, Reader's Tales. And I didn't even know he had them. I wish you and your family an excellent Easter! i really enjoyed looking these past belongings my friend! it is kind of exciting adventure to find something belong to your loved ones who is not any more. Yes,baili - that plant is a strange one. Ours just flowered after about 35 years!